GOD is building a movement of supernatural women today in Ireland, like Saint Brigid of old. Living the extraordinary in the ordinary every day. Last year there were hundreds of us at the Helix! Together we encounter the heart of God. Experience His presence in worship. Hear the divine call. Receive His strength. On the leadership team of Cornerstone Christian Church at the Well in Bray, Co. Wicklow, Miriam has been worship leader at Holy Trinity Church of Ireland, Redcross, Co. Wicklow, and served in churches across Europe. After working with childminders in Co. Wicklow for nearly a decade, she is now doing PhD research in professional childminding in Ireland at Dublin Institute of Technology. 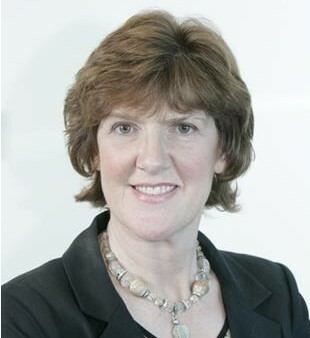 Joan Sullivan is a qualified Accountant and was a Director with Price Waterhouse Cooper Ireland for 20 years. 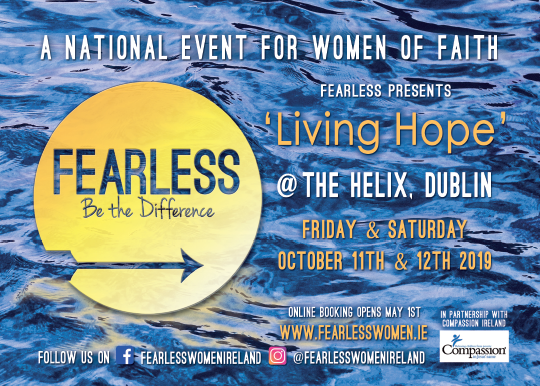 She was a member of the Methodist Church in Northern Ireland for 16 years and is now involved with TransformOurWorld, a global organisation with a mission to transform communities, cities and nations and to eliminate systemic poverty by applying Christian principles. Aileen is the Chairperson of the Parish Pastoral Council in The Holy Redeemer, Bray, Co. Wicklow, where she is also a Children’s Mass Leader. A singer with Dun Laoghaire Choral, she handles their PR, and chairs the parents' committee of her daughters’ school Coláiste Raithín, as well. She was a television Producer/Director in a previous life! Lisa is from Greystones in Co. Wicklow, where she lives with her husband Fabrizio, and their two young boys Leon and Ethan. They are part of the Ignite Network Church in Urban Junction, Blackrock. For the last 7 years, Lisa has worked for Compassion Ireland; a child development programme working to release children from poverty across 25 different countries in the developing world. Also for 7 years, Lisa has taught Zumba dance fitness classes! The Helix is based in the heart of the campus of Dublin City University in Glasnevin, north Dublin, just 3 miles from the City Centre and minutes from the M50 motorway. Leave the M50 at the Ballymun exit. Drive through Ballymun. Continue straight through the roundabout in Ballymun (2nd exit) take the 2nd turn on the left on to Collins Avenue (at the traffic lights). At the second set of traffic lights turn right in to the entrance for DCU. Drive towards Drumcondra along the N1, towards the M1. Continue past the junction for Griffith Avenue until you reach the junction at Whitehall. At this crossroads turn left onto Collins Avenue. Continue along Collins Avenue until you pass St. Aidans CBS on your left hand side. Just after the school turn left in to the entrance for DCU. The Helix has parking for 850 cars. The car park is located on the Collins Avenue side of the DCU campus. The car park has an underground walkway to take you directly to the front door. Parking costs €4 for the day but will be reimbursed for the price of a coffee at the Helix Café. Access to the campus by car is by the Collins Avenue entrance. The Helix offers easy access throughout the building and adapted toilets are available on each level of the building. Wheelchair spaces are available within Mahony Hall, the Theatre and the Space. For customers who have hearing impairments we offer an infra-red loop system and receivers can be booked in advance through the box office or requested at the time of performance subject to availability. A deposit is required. All good hotels and B&B’s are available, but get booking as soon as possible.